Motorsport Division utilizes the latest diagnostic equipment, specialized tools and training to determine the cause of your engines problem and then efficiently correct it. Check Engine Light – There are over a hundred causes for a check engine light to appear on your BMW instrument cluster. First we read the “codes” or messages stored in your engine’s computer memory. This is not the definitive answer but vital information regarding the direction to continue our diagnosis. We then look at specific engine performance data through the computer to zero in on the exact location and cause of the malfunction. Is it a fouled spark plug, defective ignition coil, defective mass air sensor or other sensor or simply a cracked breather hose allowing air into places it shouldn’t? Engine running rough or shaking especially at a stop light. In addition to the above possibilities of an engine “miss” the feeling of roughness could actually be due to collapsed engine mounts. We carefully inspect the mounts to determine if this is the culprit. Other BMW Engine Services – Oil leaks are a common annoying problem for owners. There are several gaskets and seals that can need to be checked. In addition to such areas as Valve Cover Gaskets, there are breather valves and “oil separators” that can cause leaks. your BMW requires regular maintenance and inspection. 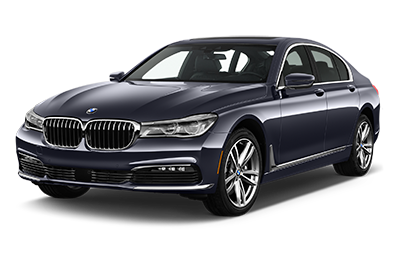 In order to inspect your BMW properly we combine a knowledgeable, trained technician combined with the latest diagnostic equipment and tools to evaluate its current needs. Yes we change your oil and filter using the BMW specified oil but we go much further making sure that the entire vehicle is well maintained and safe. We check all fluids, hoses, belts exhaust, steering, suspension, tires and brakes. Coolant Flush and Brake Fluid Flush are required at regular time intervals and are often forgotten by their owners. This time interval varies by model year but is an important part of your maintenance program. Your BMW has sensors on the brake pads that light up a warning when the pad wears very thin. When this happens the brakes need to be serviced nearly immediately. At Motorsport Division of Naples we inspect your brakes at every maintenance. This allows you to anticipate the need for brake service before the urgency necessary when the warning light comes on. Also, the sensors are only on one side of one of the pads. Occasionally the brake pads wear unevenly and if the area with the greater wear is the side without the sensor the pads can actually be totally worn out before the warning comes on. The brake rotors, which are the discs that the brake pads squeeze against to stop your car also wear. When the thickness of these rotors reach a specified minimum thickness they must be replaced also. If there is a shuddering feel when braking it may indicate that the brake rotors are worn unevenly or warped thus requiring replacement. There are other components to your brake system such as your master cylinder, anti-lock components and brake lines. We Inspect your entire brake system to insure that your vehicle is stopping properly and safely.